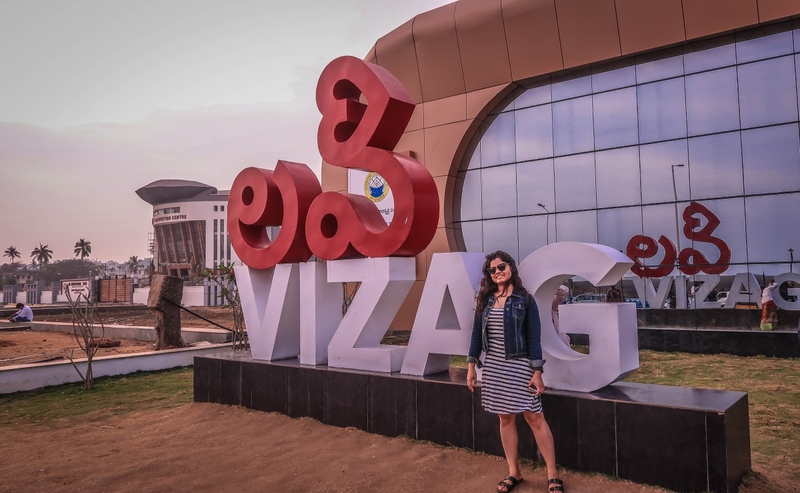 My trip to Vizag aka Vishakhapatnam was in order before I could blink my eyes. Flights were booked the next minute and I was all set to add a new city to my repertoire of stories and experiences. Needless to say, I had no plans and no “Things to do” list in my hand. The Internet has been a saviour in this area and I took the plunge counting on it. I did download random web pages around Vizag to check during the flight. Thinking that gave me a fair idea as to what all I could do during my spontaneous 3 days trip to Vizag. 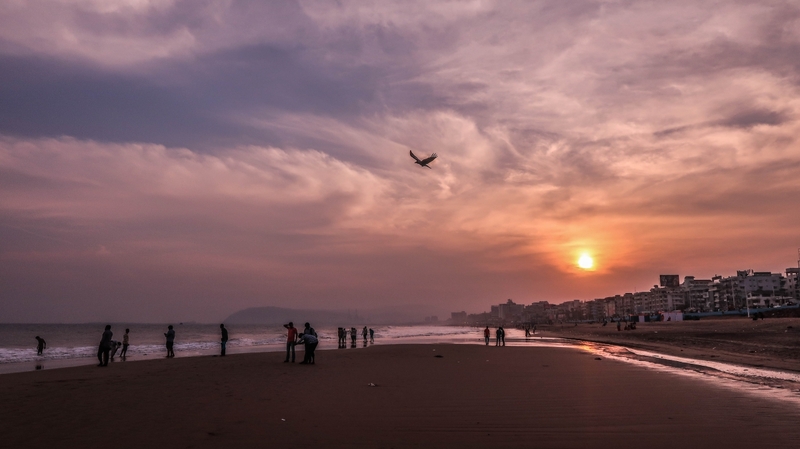 Located on the Bay of Bengal coast Vizag has beaches for beach bums and mountains for mountain lovers, museums for trivia buffs, the pilgrimage site for the religious kinds. 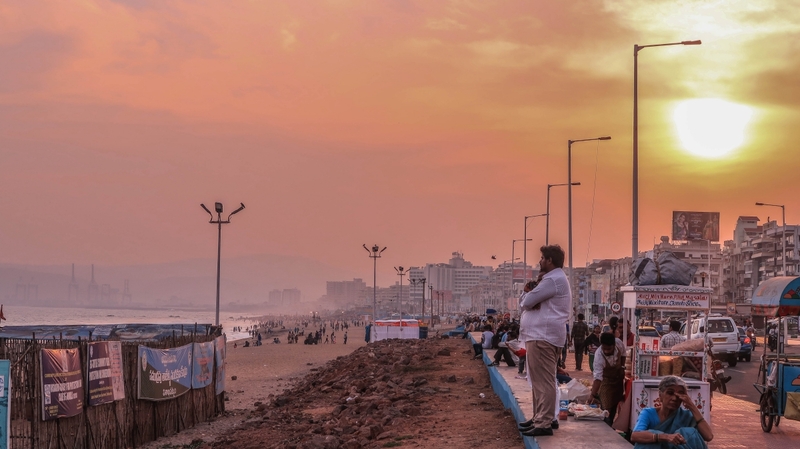 If that is not intriguing enough, Vizag also houses the oldest shipyard and boasts the coveted title of being the only natural harbour on the east coast of India. If this was also not enough let me amuse you even more by unveiling the fact that Vizag is also the headquarter of the Eastern Naval Command. A short early morning flight and I was all geared up for my first tryst with the port city. I couldn’t refer to any of my downloaded web pages, the reason being my incorrigible habit of dozing off in the flight the moment it takes off. The hotel receptionist helped me a lot in planning the day, they don’t call the city as “City of Destiny” for nothing. The first spot on my list was Kailashgiri. 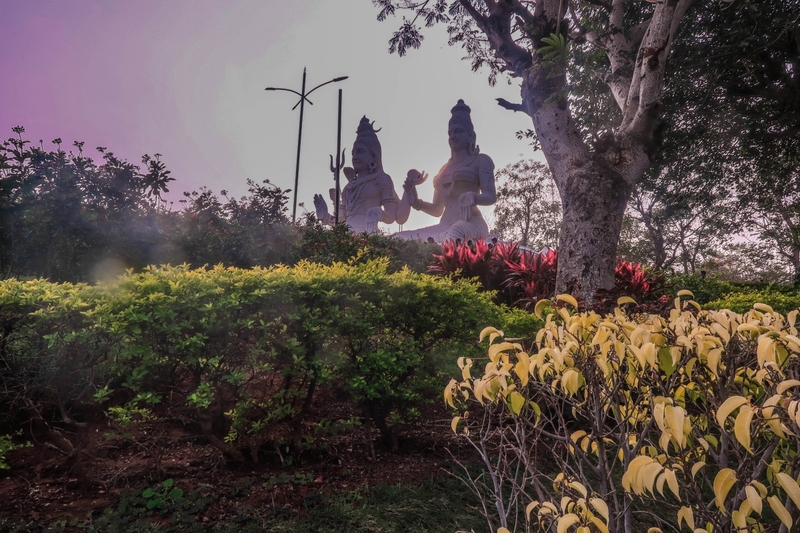 Spread across 380 acres, Kailashgiri is a hilltop park in Vizag. It is developed and managed by Visakhapatnam Urban Development Authority (VUDA). And it is considered as one of the most popular tourist spots in Vizag. 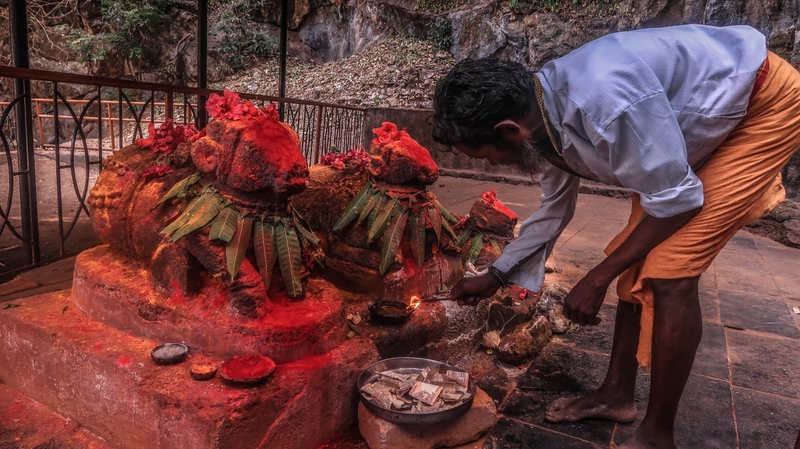 Though Kailashgiri is swamped with wide varieties of tropical trees and fauna the main highlight is the ginormous statues of Lord Shiva and Goddess Parvathi. 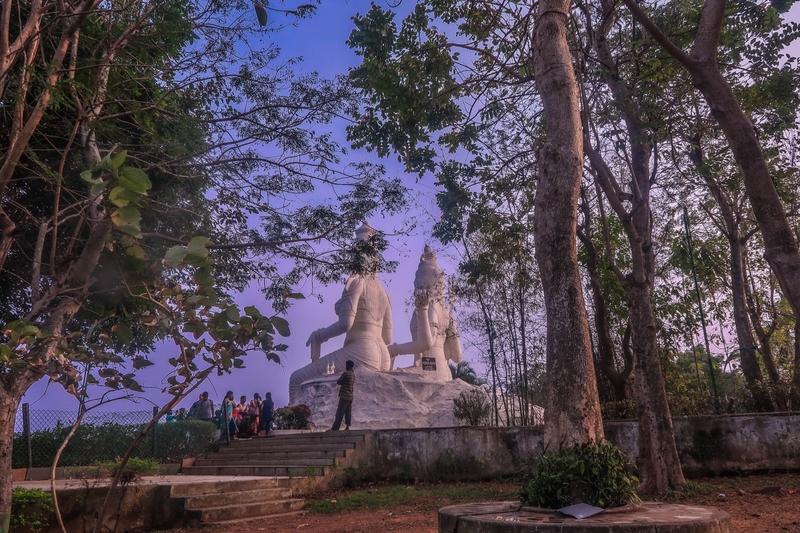 Surrounded by lush green carpet and with a backdrop of clear blue sky, the bright white statues are sure to take your breath away. I reached Kailashgiri just a little before the sunset and the warm sunlight set a perfect tone for the whole park. Though there are numerous spots to see in Kailashgiri I decided to just sit back and watch the hazy sunset. 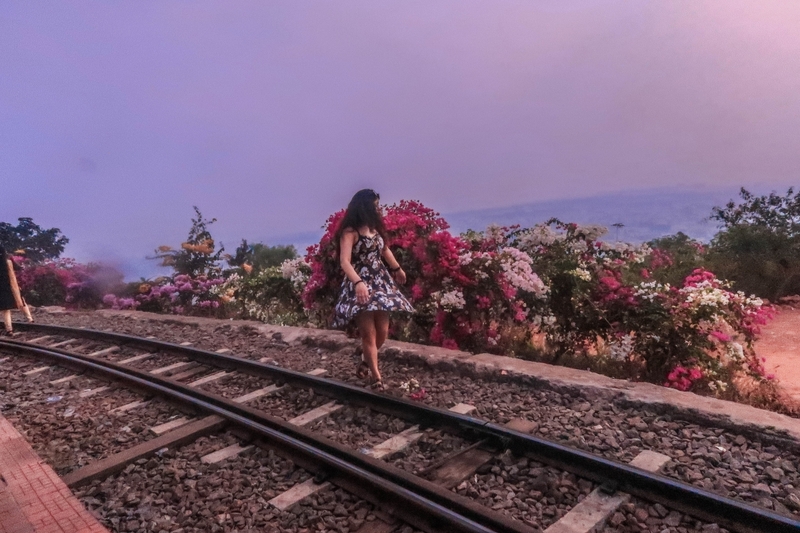 The sky was full of drama with upset tones of purple and pink and the bright colourful bougainvillaea balanced the whole scenery. 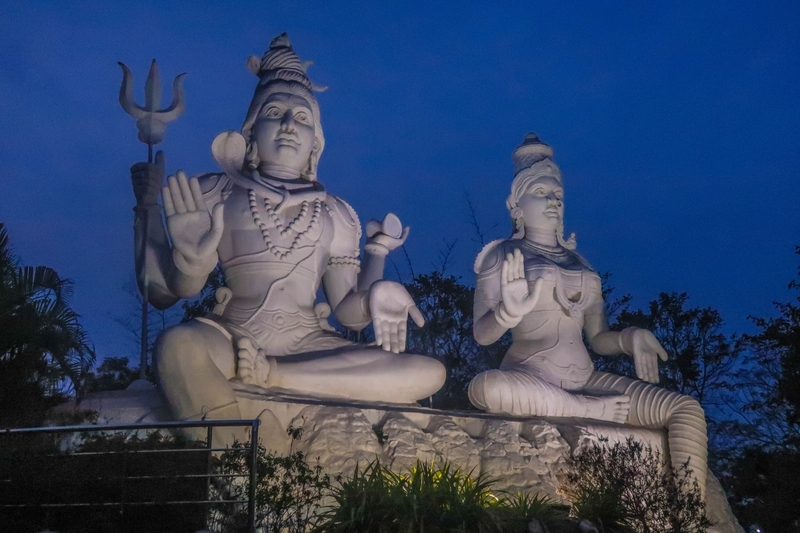 In case you are interested in exploring the park more, the other point of interests are Titanic viewpoint, floral clock, Shanku-Chakra Namas of Lord Venkateswara of Tirupati, Gliding point and many more. There is a toy train also which takes you around the park. You can enjoy the panoramic sea view of the East Coast by the train. I decided to retire early and ended the day before my usual time. The next whole day was spent around Araku Valley. Araku Valley is one of the most popular hill stations near Vizag. Located 120 Km from the coastal city Araku Valley is a perfect escape from city’s hustle bustle. The valley is sprawled across 36 km and situated 1300 m above the sea level and hence offers refreshing lush green views. The drive to Araku Valley offers you sightings of thick forests of the Eastern Ghats mountain range. You could also spot some mystical waterfalls here and there. Vizag being a coastal city is generally hot and humid but Araku Valley offers respite with its cool breeze. 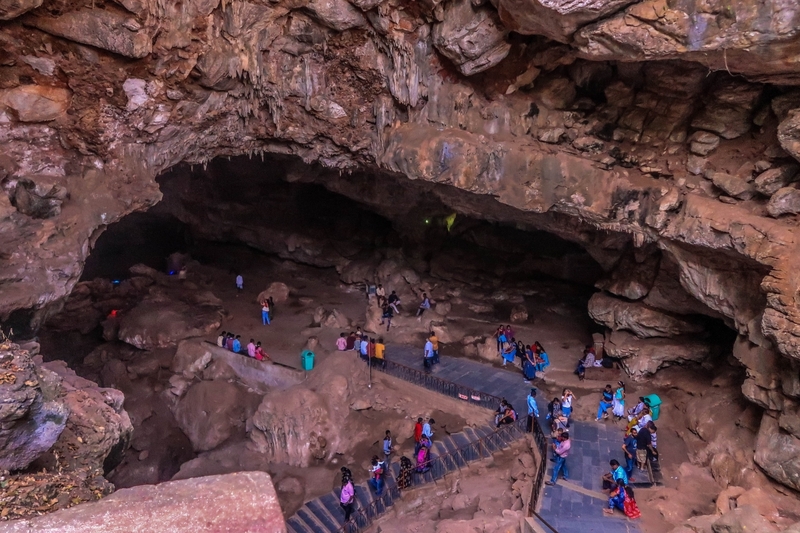 The only place in Araku Valley which was on my list was the Borra Caves. Apart from that, I was happy to just roam around the valley and enjoy the view. Borra Caves is a naturally formed cave and is believed to be 150 million years old. The rocks of Borra Caves exists as a result of the reaction between Humic acid in the water and the Calcium Carbonate in the limestone. Borra Caves deserves a separate post, that I will be doing soon. 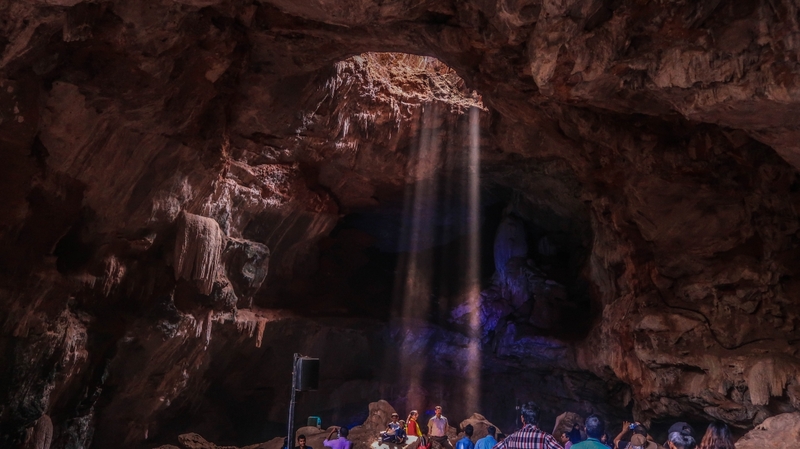 But if you are in Araku Valley don’t miss this caves. There are many places to visit in Araku Valley like Padmapuram Gardens, Tribal Museum, Coffee Museum, Katiki waterfalls and many more. But apart from the Borra Caves I just visited Padmapuram Gardens and spent most of my time driving around the valley. 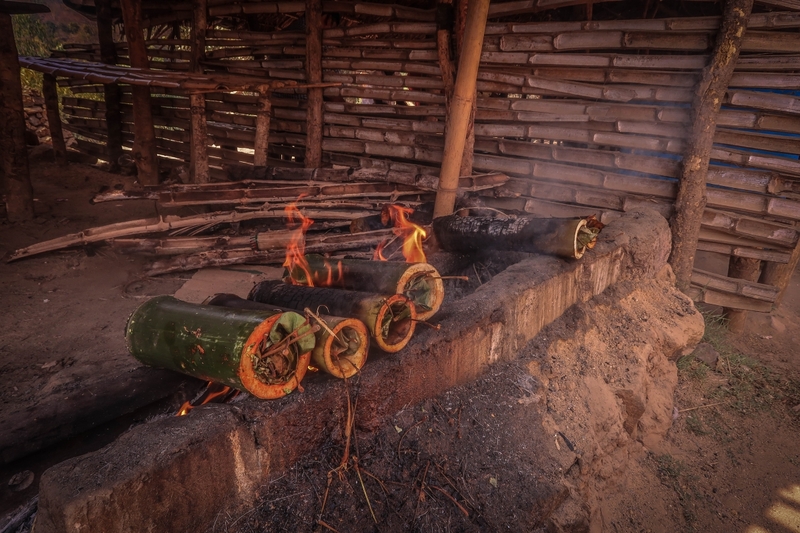 Another interesting offering of Araku Valley is the Bamboo Chicken available readily outside the Borra Caves. You might wanna treat your taste buds to some local cuisine. 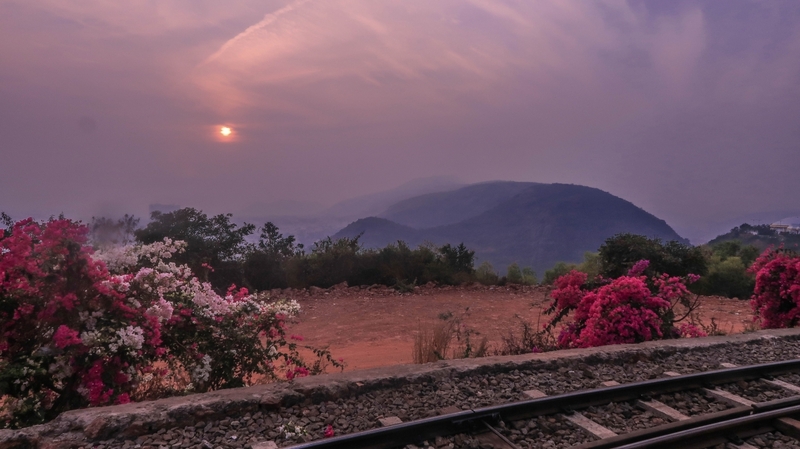 To reach Araku Valley you can either take a train ticket or hire your own vehicle. I opted the latter but I have heard the view from the train is to die for. And it is highly suggested that you take a train to Araku Valley from Vizag. I couldn’t manage the logistics of the train tickets. And thus decided to hire a vehicle and drive down to Araku Valley. If you can, definitely do the train ride. I spent the whole day in the valley and by the time I got back I couldn’t help but crash. The next day was planned and jotted down already. I had few things on my mind and mostly all of them were in the city. So there was no major travelling involved. The first place was Kursura Submarine Museum. Located right at the Ramakrishna Mission Beach by the side of the busy city road, the museum is hard to miss. This museum pops up as one of the most recommended places to visit in Vizag and the hype is real. The life-size INS Kursura (S20) will blow your mind with its rustic beauty and various mind-boggling facts around it. She is India’s fifth diesel-electric submarine. 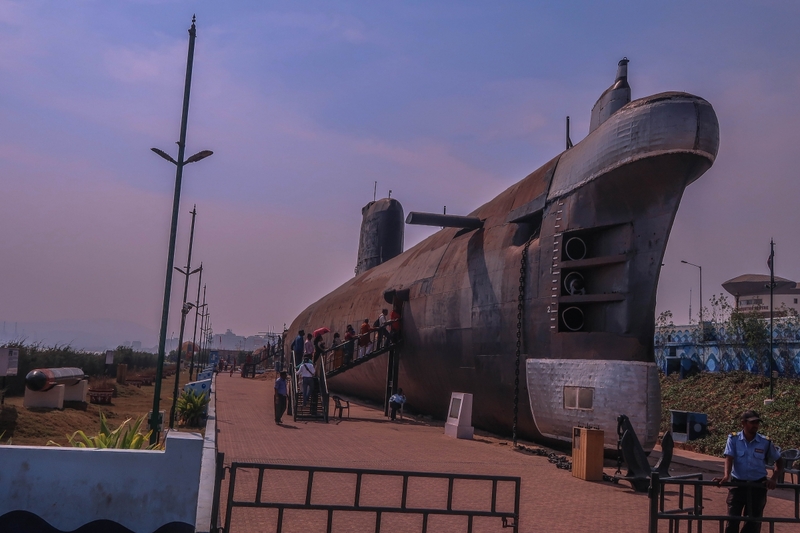 After getting decommissioned on 27th February 2001 the submarine was preserved as the museum for the general public. This submarine is of high significance and has been part of Indian Navy’s some monumental missions. 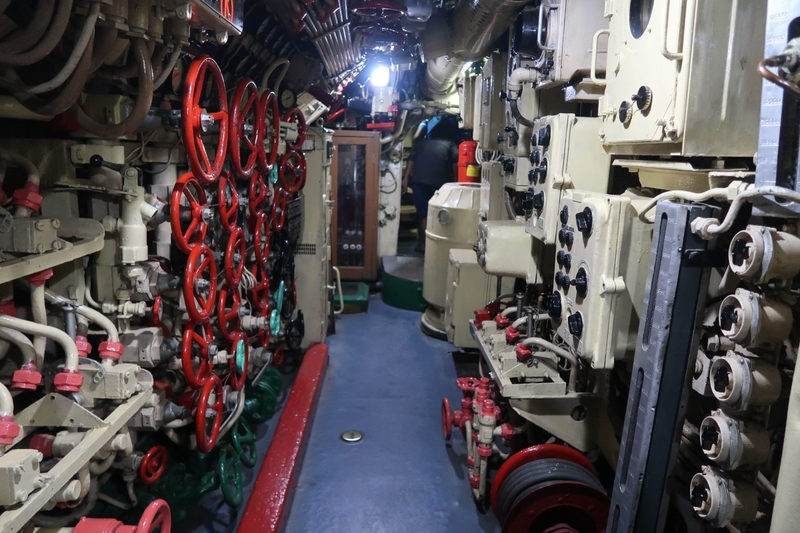 A walk in the INS Kursura gives you an idea of how life would be on a submarine. For some reason, it reminded me of the movie “The Ghazi Attack”. It’s a different experience, something that I have never done before. Visiting Kursura Submarine Museum comes highly recommended from my end. I will write more about my experience in a separate post. Another fascinating museum in Vizag is TU 142 Aircraft Museum. Inaugurated in December 2017, this museum is not up on any online listicles yet. 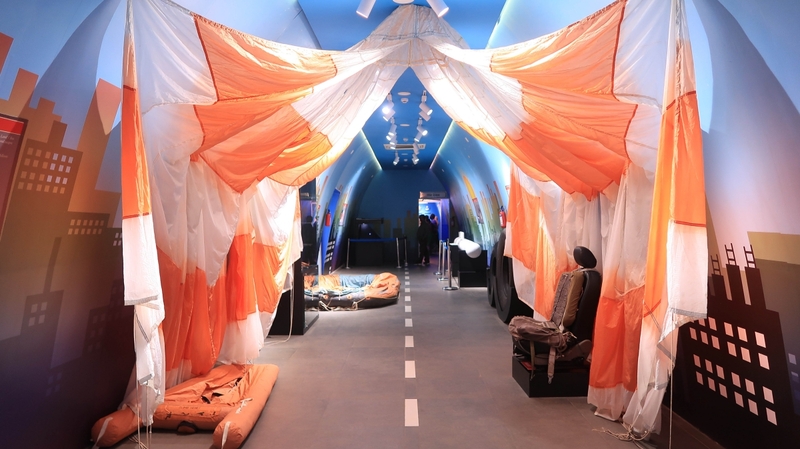 Located just across the Kursura Submarine Museum on the beach road, this museum is the first of its kind. 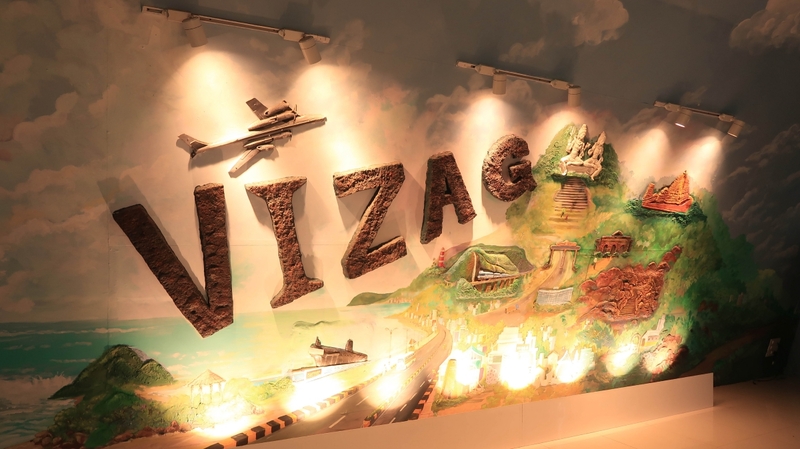 It houses a museum complex, TU flight simulator, an audio-visual room and souvenir shop. But the showstopper of the museum is the decommissioned TU 142. 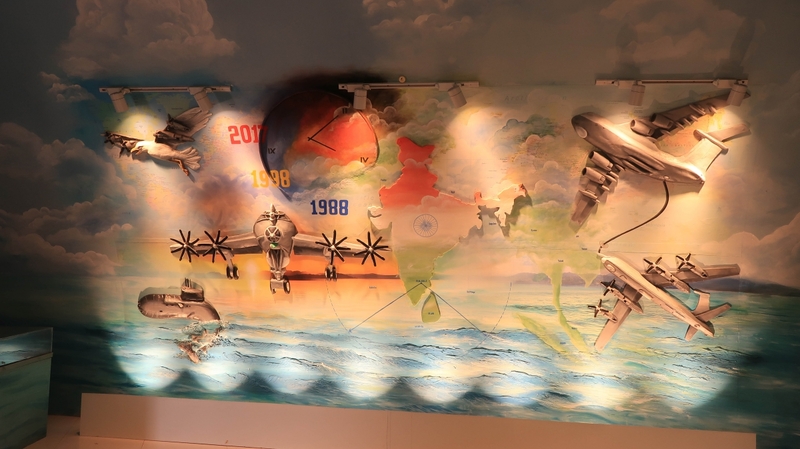 It was flown in from the Arakkonam base of the Navy, dismantled, transported and reassembled into the museum. It is amusing that either side of the Beach Road is adorned with marvels from Indian Navy and Indian Air Force. Wish Visakhapatnam Urban Development Authority (VUDA) comes up with something for Indian Army as well. The rest of the day was spent hopping around Rishikonda Beach and Ramakrishna Beach. A gorgeous sunset at Ramakrishna Beach marked an end to my short encounter with the port city, Vizag. While I tried to make the most of my visit, there is still so much left to discover in Vizag. Dolphin’s Nose tops the list, following it are the various spots left in Araku Valley and Thotlakonda Ancient Buddhist Monastery. Guess there is always something behind to go back to. Vizag is readily connected to all the major cities by air, road and rail. A little google search from your destination will suggest you the best possible way to reach Vizag. Vizag has a wide range of stay options, ranging from budget to luxury. You can always find something in your budget. A quick search on Treebo can help you sort out your accommodation in just a few minutes. There is a wide range of Treebo Hotels in Visakhapatnam to choose from. The museums in Vizag follow strict timelines for public access, check the timings before you leave for them. The flight simulator in TU 142 Aircraft Museum is an interesting way of trying your hands at navigation and flying, It is something that you should definitely try. Carry a hat or cap, it is generally hot and humid in Vizag. If you wish to spend a night in Araku Valley there are accommodation options available in Araku Valley. Andhra Pradesh Tourism runs most of them. 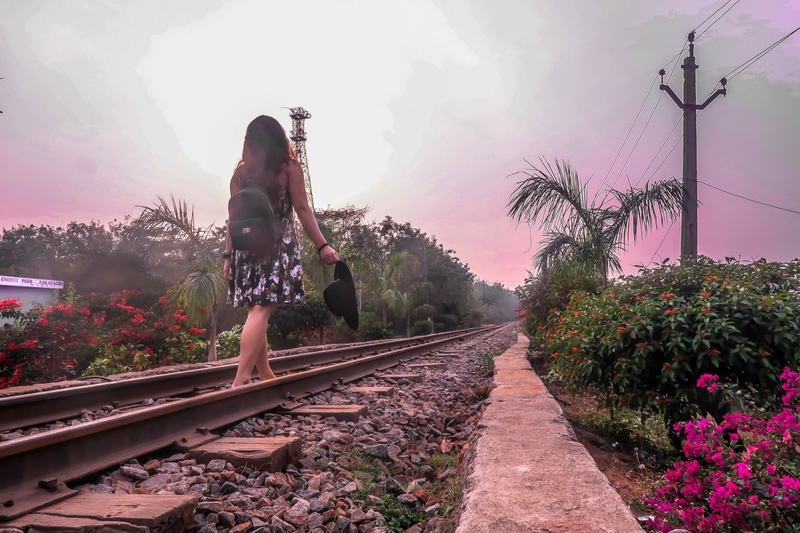 If you can manage, grab the train ride to Araku Valley I have heard that the journey is thrilling with spectacular views all the time. This one is for women, be modest with your clothes when visiting the beaches, unless you are okay with all eyes on you. Thank you for writing so good about my city, god bless you.